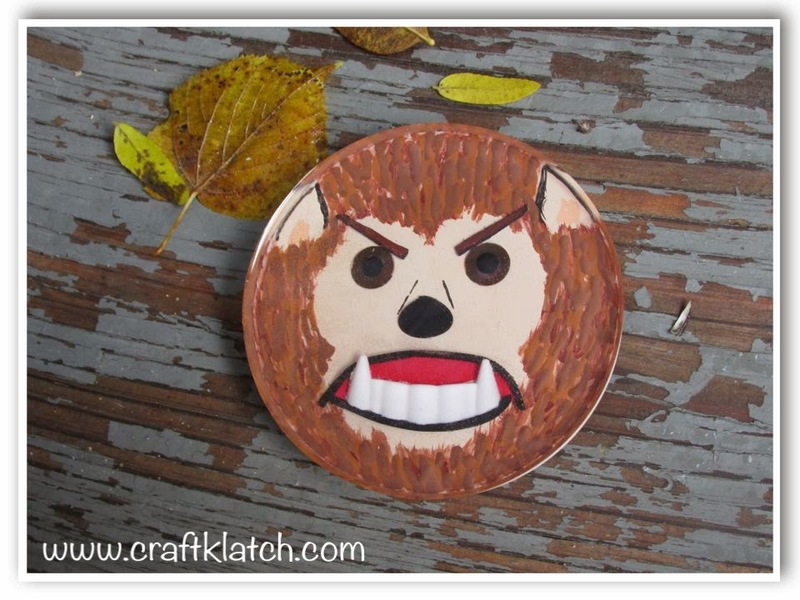 I was asked to try my hand at making a werewolf coaster and this what I came up with! 1. Prepare your resin, according to the package directions. You can use pigment to make it brown, or skip it and just use acrylic paint in the next step. Pour into mold. 2. Once the first layer of resin has cured, paint on the face portion and the ears (see video above). Allow to dry. 3. Take two different colors of brown paint and paint on the hair. Allow to dry. Paint black accents on the ears and the snout. 4. In the meantime, cut the teeth from the vampire fangs and cut the posts off the back of the eyes and nose. 5. Glue the eyes and nose into place. 6. Cut a piece of red craft foam to fit behind the teeth. 7. Cut two thin strips of black craft foam. Glue mouth together as shown in picture above. 8. Put layers of the dimensional paint on top to the original brown paint. Allow to dry. 9. Prepare enough resin to cover everything. Allow to cure.